Home › Recent › Join the #BravenBold Instagram Contest and Win Braven Products! 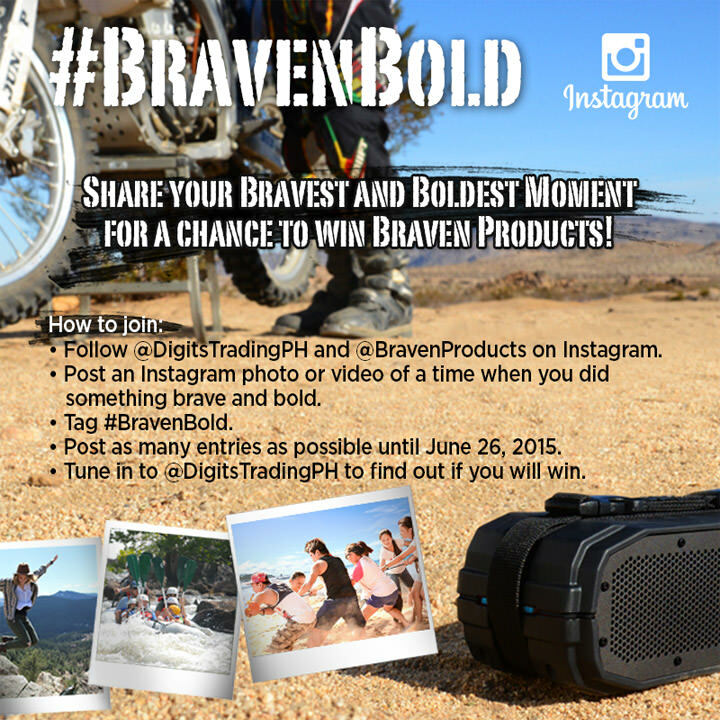 Join the #BravenBold Instagram Contest and Win Braven Products! Share your bravest and boldest moment for a change to win Braven products! Follow @DigitsTradingPH and @BravenProducts on Instagram. Post an Instagram photo or video of a time when you did something brave and bold. Post as many entries as possible until June 26, 2015. Tune in to @DigitsTradingPh to find out if you will win.